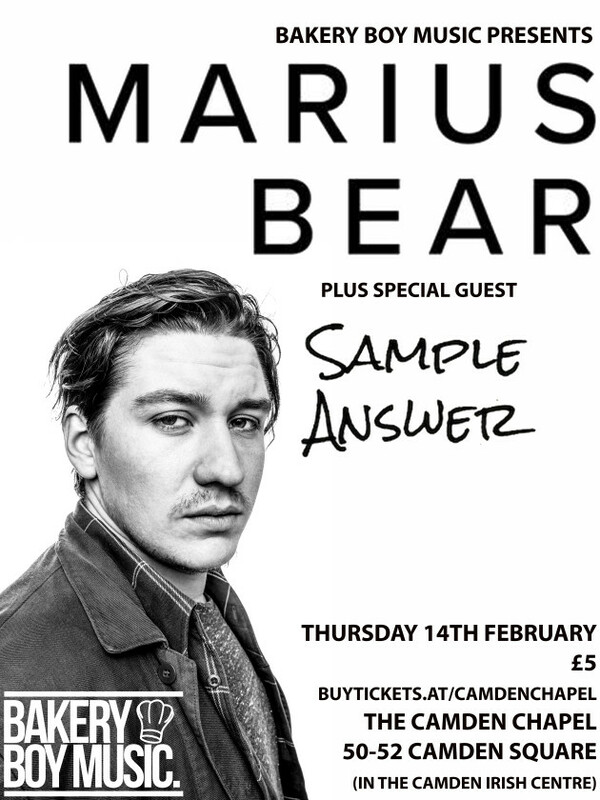 Native from the Swiss mountains, Marius Bear is quickly making a name for himself on the UK live circuit, with the voice and presence of... a BEAR. The 24 year old is about to release his first EP Sanity. Serving as officer in the Swiss Army, Marius Bear only started singing 3 years ago, when prompted by a soldier that his superior should sing instead of shout commands 'with a voice like that'... and that’s exactly what Bear did. After adding vocals to his guitar playing, Marius immediately found label interest back home. After busking in the streets of Europe he is searching the international stage though; Marius signed up to BIMM and moved to the UK, lives in a Catholic boys hostel, whilst writing songs and playing live. He has also been working on his EP Sanity with the Dutch film music composer and producer Reyn Ouwehand (among others: Kane, Mister & Mississippi, Benjamin Biolay, Vanessa Paradis). The EP release is scheduled for June 2018. The first single is the title track Sanity and will be released at the end of April 2017 worldwide. Marius' heart-warming vocals exude character, authenticity and emotion. Inspired by the likes of Lewis Capaldi and Matt Corby, his music fuses raw acoustic pop with modern cinematic influences.